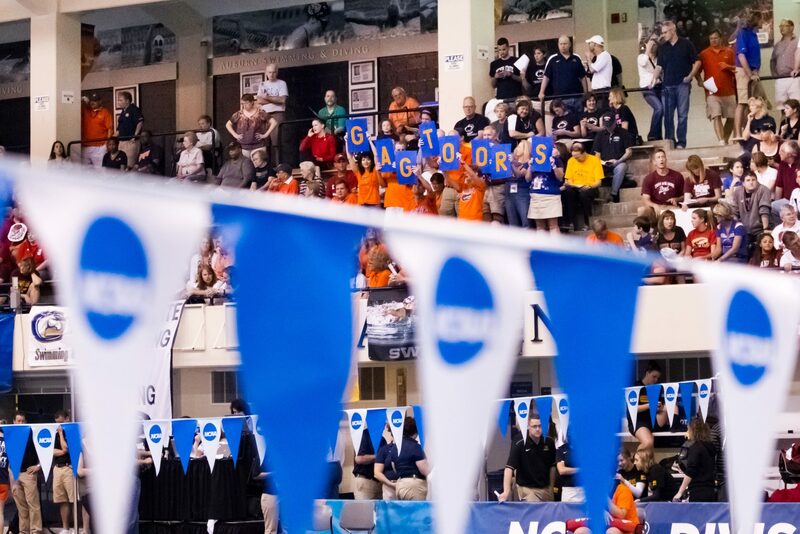 The NCAA has unveiled a sweeping set of new events and rules for the 2015-2016 college swimming season that will be among the most fundamentally-transforming changes in recent history. 100 IM approved for inclusion at conference championship meets (though it isn’t required). We will break down many of these changes in separate articles, but there’s two key themes among them: one is to bring the NCAA in line with FINA rules, with regard to approving backstroke starting wedges, and the breaststroke pullout. Both of those rules were approved for USA Swimming and FINA sanctioned competition in December of last year, which left a gap in the rules between those events and college competition. The other is a preliminary expansion of NCAA events. While no new events have been added to the NCAA Championship schedule, both synchronized diving and the 100 IM have expanded the opportunity for coaches to add more wrinkles to the standard meet schedule. More to come on each rule change. The full release from the NCAA is below. If the teams in a dual-, tri- or quad-meet agree to have a synchronized diving event, it can replace either the 1-meter or 3-meter diving events — or both. In invitational meets, synchronized diving can replace any springboard or platform diving event. « 800m Free World Championship Preview: Is Sub 8:10 Possible? Do you think there’s a chance to see one day the 100 IM added at NCAAs? I don’t need upvotes or downvotes!!!!!!!!!!!!!!!!!!!!!!!!!!!!!!!!!!!!!!!!!!!!!!!!!!!!!!!!!!!!!!!!!!!!!! Yes, I do. It’s one of the more spectator friendly events and as long as it doesn’t cost the NCAA any money they will eventually add it. Great third day event for non-free sprinter. Just a few years too late for Vlad Morozov. what could Morozov have gone – 45? I think he’d be in the 46 high zone for sure. Who knows? If Dressel or Murphy goes 47 low I’d say Vlad was good for a 46 low. I think we’ll have to wait and see… it’s never been done fully rested before by a huge star…. Vlad, to me, would be the benchmark. His 4x100s are faster than anyone else’s 4x100s, in a quick browse through my head. My money would be on Vlad too. But, I’d give Nolan a puncher’s chance after his 200 IM this year. Nolan’s a very, very good breaststroker too. If only Florent Manaudou was an NCAA swimmer! Dream on. You weren’t fast. He was. It’s the way of the world.